View a YouTube – my favorite creative tools, paints and processes for Gelli Arts® printing. Gelli Arts printing… have you tried it? If not, you are in for a real treat. If you have, then you are probably like me, you have tons and tons of prints in your studio just waiting for the next project. I have so much fun with Gelli plate printing. 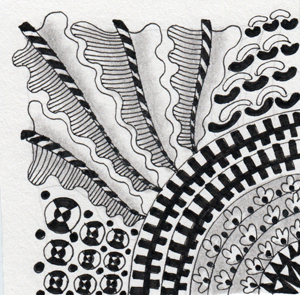 I love experimenting and creating on BOTH paper and fabric. 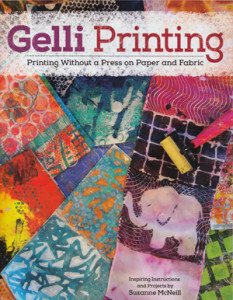 To share my ideas, I have authored a book, ‘Gelli Printing’. 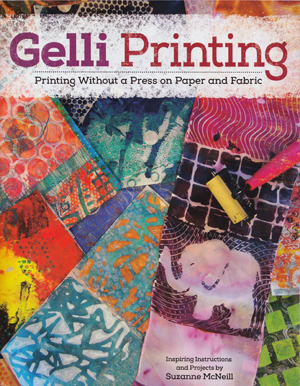 Not only does the Gelli Printing book show all the basic instructions, innovative tools and tips for printing on paper, fabric and silk scarves, it also includes a variety of ways to use your prints. You’ll love all the tips and techniques about working with this revolutionary printing surface. 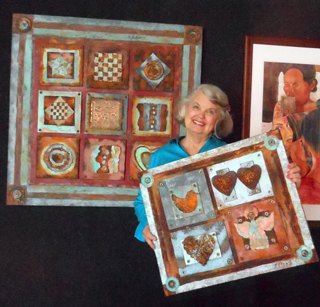 Paula loves her Gelli print papers – ready for collage!! 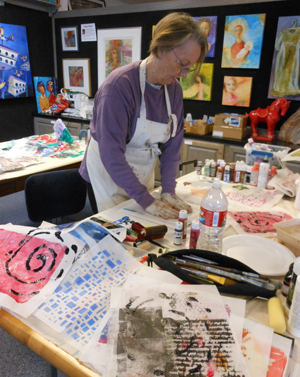 Gelli printing classes fill up quickly at my studio, Sparks Studio for Creative Arts. Paula Pillow, one of the contributing artists in the book recently gave a wonderful class ‘Gelli Arts Printing and Collage’, students spent a portion of the day working with tools and textures to create papers and then used them to create a collage on canvas or watercolor paper. Much fun was had by all. 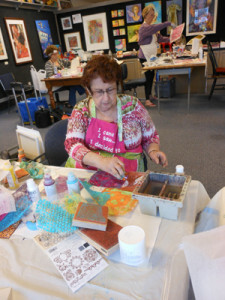 Can’t wait for the next Gelli class. 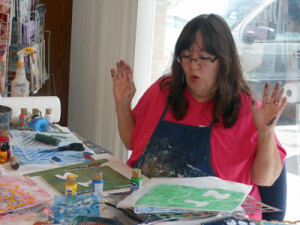 Connie Alexander having fun with Gelli Arts at the studio class. Linda Doutre with a table full of Gelli experiments. The Gelli Arts Plate is an economical way to experience printmaking. The plates come in a variety of sizes. 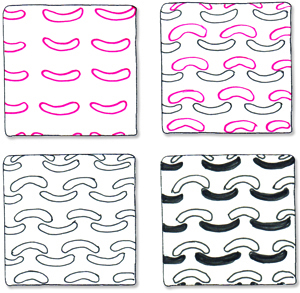 The plates are portable, durable, and easy to clean. 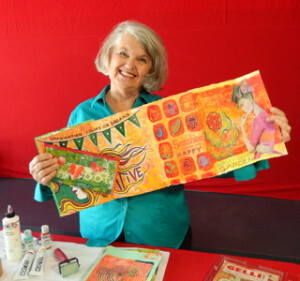 In the book, recipes to make your own Gelli printing plate are included, or a Gelli Arts plate can be purchased. 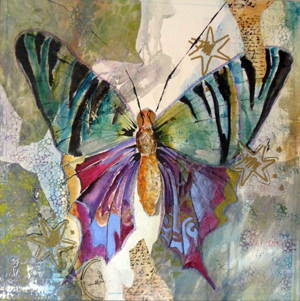 Paula’s beautiful butterfly collage with Gelli papers.